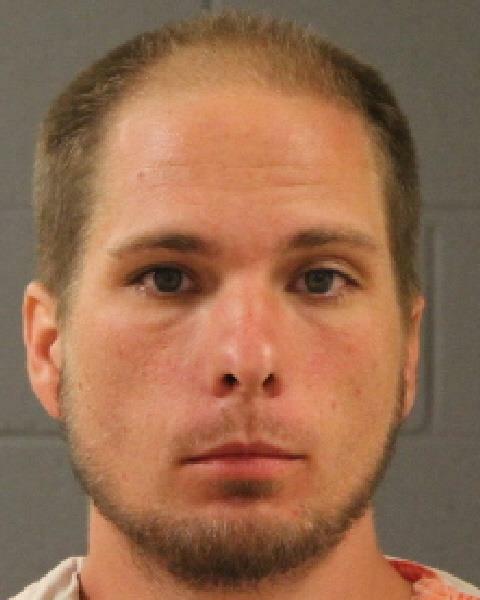 ST. GEORGE — Police arrested a 31-year-old man Friday after he reportedly walked into a stranger’s home in St. George looking to obtain truck keys for his girlfriend, who the resident didn’t know. When the man’s attempt to leave with the truck failed, he allegedly burglarized other vehicles in the area before helping himself to someone else’s Jeep. At approximately 3:30 p.m. Friday, police responded to a report of an unknown man walking into a home near the Red Cliffs Mall and requesting the keys to a truck parked in the driveway, according to a probable cause statement filed by the St. George Police Department in support of the arrest. The man reportedly damaged a tarp that had been covering the truck before walking inside the home. The man proceeded to tell the person in the home that he wanted the keys to the truck because “his girlfriend needed it,” the arresting officer wrote in a sworn statement. When the person in the home told the man to leave, the man reportedly left but returned to the home and knocked on the door, the report stated. “The (alleged) victim stated she was frightened by the male and did not know who (the man’s girlfriend) was,” the officer wrote in the statement. While officers were en route to the home, another person called 911 to report that an unknown man was using a screwdriver to break into an orange passenger car in the area. As officers arrived on scene, the suspect was reportedly trying to leave the area in a Jeep SUV. According to the statement, officers instructed the man to exit the Jeep before placing him in handcuffs. During a search of his person, police allegedly located several baggies containing a crystalline substance that tested positive for methamphetamine in the pockets of his shorts, along with a pipe and several used syringes, the report stated. Sparks was transported and booked into the Washington County Purgatory Correctional Facility. The Washington County Attorney’s Office filed an information in 5th District Court accusing Sparks of two third-degree felony counts of theft and drug possession; three class A misdemeanor counts of burglary of a vehicle and criminal trespass; and four class B misdemeanor counts of possession of burglary tools, criminal mischief and possession of drug paraphernalia. As this report is published, Sparks remains in police custody, according to booking information. Jail time might help this meth addict to recover. Sad to me, many “seem to be good people” addicted and making poor choices. How terrifying for the lady who’s house he entered. That is why I keep my doors locked at all times.